Everyone loves film festivals! These annual gatherings of filmmakers and film fans serve to advance interest in the art of filmmaking, highlight the work of new directors, and give the world a chance to see movies that may have otherwise slipped by unnoticed. Success at one or more of the important film festivals held each year can sometimes make a director's career and can make low budget independent films into world class box office smashes. 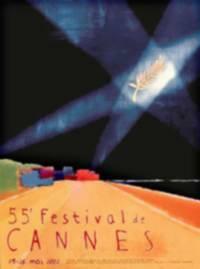 The Cannes Film Festival, perhaps the best known and most prestigious of all the festivals, started in 1939. Several prizes are awarded each year at Cannes, but the title that filmmakers from all over the world hope to receive is the Palme D'Or or "Golden Palm" - the highest honor that the Cannes festival awards. While the festival awards prizes to films submitted from all over the globe, several quality American films have received this award. Some past winners include Martin Scorsese's Taxi Driver and Francis Ford Coppola's Apocalypse Now. Robert Redford's longtime labor of love, the Sundance Film Festival, is held each January in Park City, Utah and specializes in bringing attention and acclaim to independent films. Many a director has had his or her career launched at Sundance, including Michael Moore (Fahrenheit 9/11), Kevin Smith (Chasing Amy), and Quentin Tarantino (Kill Bill). Hundreds of films are shown each year at Sundance. A few become huge box office hits due to the attention they receive, most do not. People come every year, however, to see what films and directors is apt to generate the most "buzz". After the events of 9/11, Tribeca residents Jane Rosenthal and Robert DeNiro wanted to do something to bring people back into Manhattan and generate funds for the floundering local economy. Their answer was the Tribeca Film Festival, which has been held each year in the area since 2002. While Cannes may highlight films from around the world and Sundance concentrates on independent films, Tribeca is all about the love of movies and shows all sorts of films, not just those that attract a specific type of audience. The first year, for example, featured the world premiere of Star Wars Episode II: Attack of the Clones alongside that of Divine Secrets of the Ya-Ya Sisterhood. Another festival held in New York is the New York Film Festival, an event that has been going on for forty three years. Since 1969, the festival has been operated by the Film Society of Lincoln Center, a group that aims to bring appreciation and exposure to new and established filmmakers alike. Films shown at New York often go on to garner Oscar attention and the 2005 festival was no exception as it highlighted both Capote and Good Night, and Good Luck. While not as well known as Sundance, the SOCAL (Southern California) Independent Film Festival also does its share to bring attention and acclaim to the work of independent filmmakers each year. A quote from the SOCAL website perhaps says best what the festival is all about: "Our goal is to create a truly important film festival for independent filmmakers...and a truly independent film festival. While we have sponsors and partners that help make the event happen, they too believe in and support our mission. Remember: Entertainment. Art. Independence. It's what you haven't seen." There is certainly life after Cannes, Sundance, and Tribeca. In fact, multiple film festivals are held each year in almost every state in the US. The most complete listing available online is at the website of Movie Maker Magazine, which includes a searchable database of film festivals.